Lesley Logan is a PMA Certified Master Pilates Instructor and has been studying and teaching Joseph Pilates Classical Method since 2005 and 2008 respectively. She also has eight years of retail management experience, and six years managing studios regionally for Equinox fitness clubs. After her very first class in Orange County, Lesley was hooked. She arranged her schedule to take Pilates classes every day. This enthusiasm moved her to Los Angeles, where Lesley completed a 600 hour Classical Pilates Teacher Training. Soon after, Lesley completed a Masters Pilates Certification from The Pilates Center in Boulder, CO, while training elite marathon runners for Nutribullet’s first Los Angeles Marathon. Her love for learning the method didn't stop there, as she maintains the position of Lead Teacher Trainer for Equinox Pilates and has led dozens of apprentices through their program since 2012. 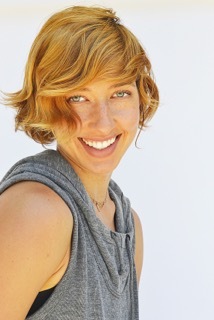 In 2013 Lesley was voted 'Best Pilates in Los Angeles' by Los Angeles Magazine. She has also been featured in Pilates Style Magazine, was voted into the top 10 of Pilates Anytime “Next Pilates Instructor” competition two years in a row, and recently was admitted into "The Work," a masters program taught by one of Joseph Pilates “Elders,” Jay Grimes. Maintaining that Pilates is a unique practice that is good for every body, Lesley tailors the method for each individual client. Her goal is to help them connect their mind to their core, creating intentional body awareness so they can move from their center, be taller and stronger than when they walked in. You can find Lesley teaching Mat Classes at Yogaworks and Equinox in Los Angeles, or instructing private clients at Westwood Pilates. She also offers online business courses for beginning to advanced Pilates instructors, studio owners and teacher trainers at her website, and is excited to begin leading groups on Pilates retreats. More info can be found at here.